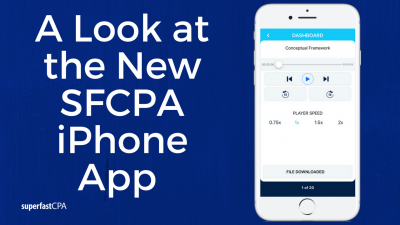 In this post we’ll look at the new SuperfastCPA app, and how it can help you pass the CPA exams faster. 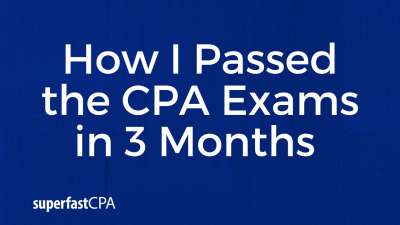 As you know, our mission at SuperfastCPA is to provide study supplements that CPA candidates can use on the go to pack in extra study time all throughout your day. 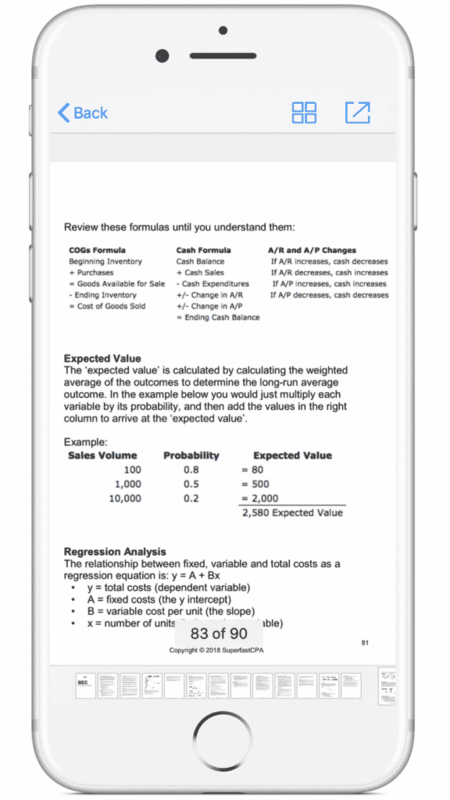 Our review notes, audio notes, and MCQs can be used on iOS or Android devices without an app, but we do have a dedicated iPhone app that we released last year. **UPDATE: We now have an Android app as well that looks and functions just like the iPhone app you’ll see below. 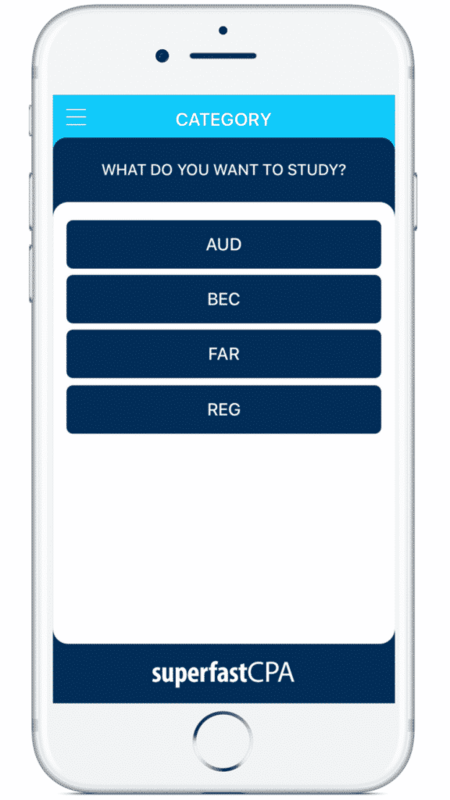 The app still had a few functions missing that I wanted to add, in the newest update(now live on the app store) we’ve dramatically increased the function and usefulness of the app, and made it look a lot better. This is the homepage after you login, you pick the section you're studying for. On this screen you choose the resource you want to study with. This is the view if you're reading the review notes. There's a slider of page thumbnails across the bottom, and it saves your spot in the notes as you switch to other apps or other resources within the app. 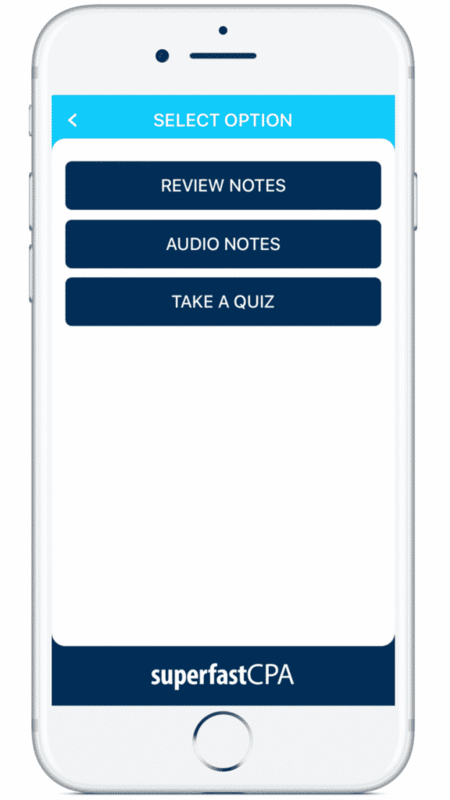 So you can switch back and forth between the audio notes or quizzes without losing where you were in the notes. First you have the list of the audio tracks. Next is the view once you're actually listening to an audio track. Now, this is EXACTLY what I wish I would have had when I was studying. 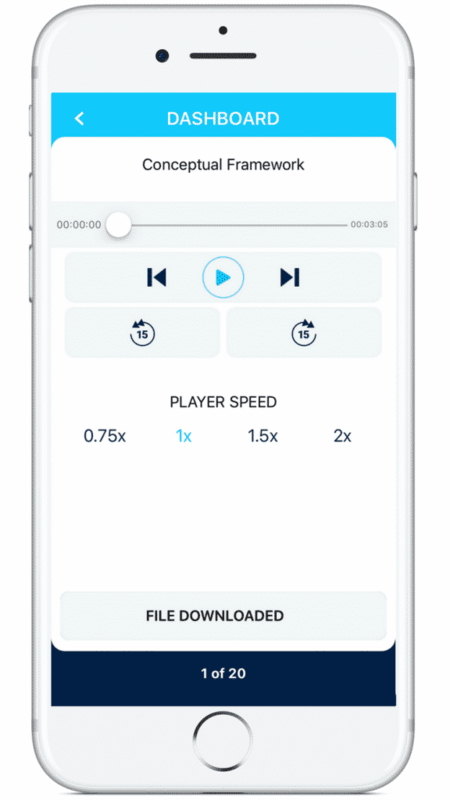 As you'll see below, you have the buttons to skip back or forward 15 seconds while listening, and you have the options for the different player speeds. Also, each audio track downloads so that you can play them without internet access, and without streaming and using up your data. I'm telling you - if you have the audio notes and make listening to them a habit, meaning on a daily basis, this stuff gets burned into your memory and it becomes hard to forget. And these new player controls lets you listen to them however you want, and quickly skip back 15 seconds if you need to hear something twice, or three times, etc. This is the view when you're taking a quiz. Pretty simple: You get 5 questions at a time from the section you're studying for, and you see the answer on each question. Why 5 questions at a time? 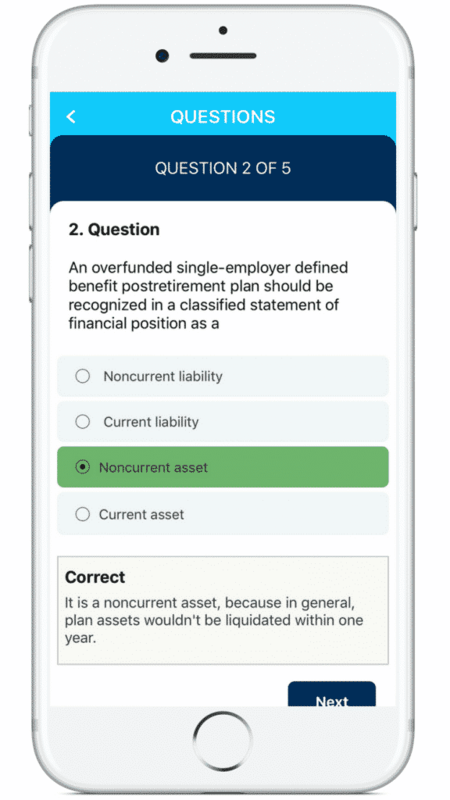 The entire idea of our app/products is so that you can pull out your phone and be doing a quiz in less than 5 seconds. Other review course apps make you pick a topic/topics, choose a number of questions, go through a bunch of screens, and it takes 3-5 minutes to just get into a quiz. And even then, they're giving you regular questions that are impossible to do on a mobile phone, unless you want to switch back and forth between your review app and the calculator app - which is really annoying. The problem with this is, you will just end up not using the app very much... with ours you open the app, tap the section and then tap "take a quiz" and you're up and running. People sometimes ask why they can't pick subtopics to take questions from to work on their "weak areas". This on its own is for a number of reasons. 1) This idea is something that people get stuck on, which can be a double edged sword. When I took FAR the first time and failed it, I had spent most of my study time trying to master the hardest topics, and then on test day you are quickly reminded that the exam covers hundreds of topics, and I had forgotten or dismissed a lot of the material from the "easy" topics, and failed because of it. There are so many things you can be asked, that you need to spend a portion of each day doing "re-review"... from all topics. THAT is why our app pulls questions from all topics within the section you're studying for. 2) If you're really trying to polish up on a certain topic, that is best done with your review course when you can sit and read a chapter or watch a video lecture as well. 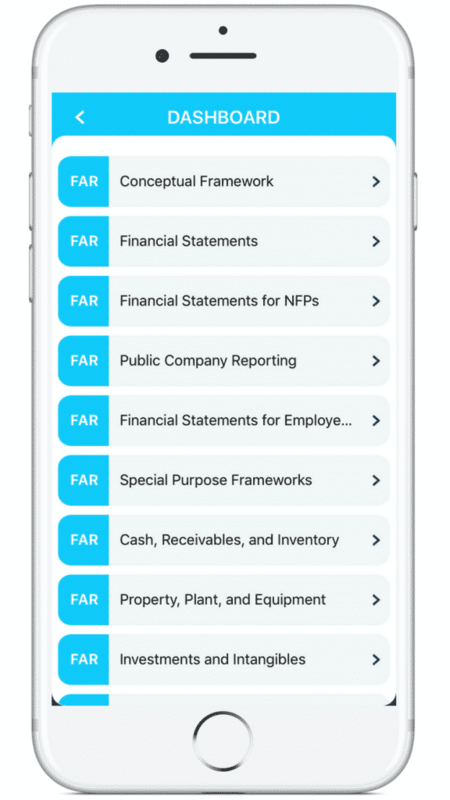 The bottom line is: "friction" in using an app for its purpose is a very real thing, so we want it to be as quick as possible for you to open the app and be taking a quiz. If you make this a habit - and you can take one of our quizzes in as little as 2 to 3 minutes - these will give you a huge edge on the material if you're taking 10-20 quizzes a day, in addition to reading the review notes, listening to the audio notes, and doing your main study session with your review course. Ok so first of all, you should be doing your main study session with your review course everyday... that is a given. However, as evidenced by the 50%+ fail rates on the exams, that's not enough. It's hard to carve out several hours day it and day out to just sit down with your review course... that's where are products come in. You have our products on your phone, and whenever you're commuting, you listen to the audio notes. You use our products all throughout your day, every time you have even just 2-3 minutes, and that compounded over weeks has a huge payoff. 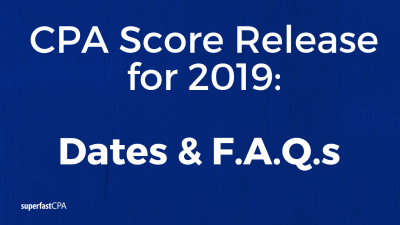 You'll remember and understand the material much better, and you are constantly re-reviewing all topics which is the #1 factor to passing on exam day. Studying a topic once as your work through your review course doesn't cut it... which you've probably experienced... the stuff is easy to forget in even just a few days... you have to re-review, and do it over and over for this stuff to stick.